Hi there, friends! I’m back today with a roundup of our favorite home decor projects that we’ve completed and shared on our blog over the years. And all of them are thrifty, of course! Today is the day that the Thrifty Style Team members share a recent project that they’ve completed, but most of us are sharing roundups today. 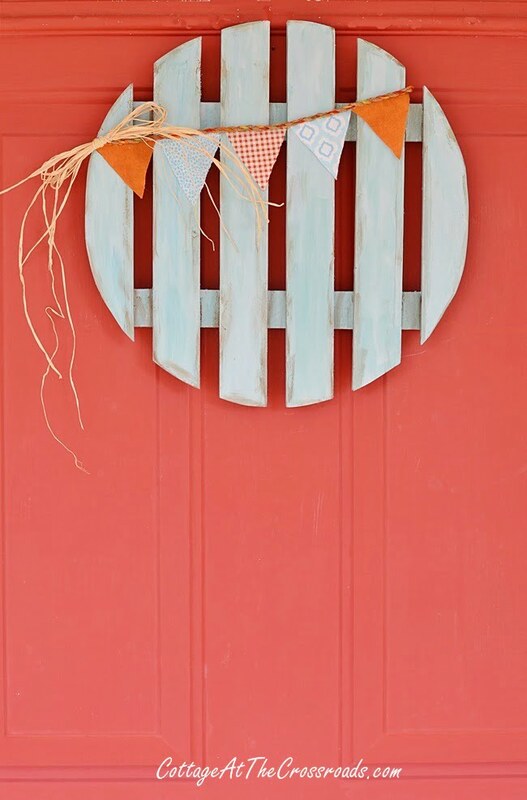 Seems like this time of year gets jam packed with events for everyone so we’re sharing some of our favorite home decor projects today. I can’t wait to visit everyone’s posts today to see some of their best projects all in one place! 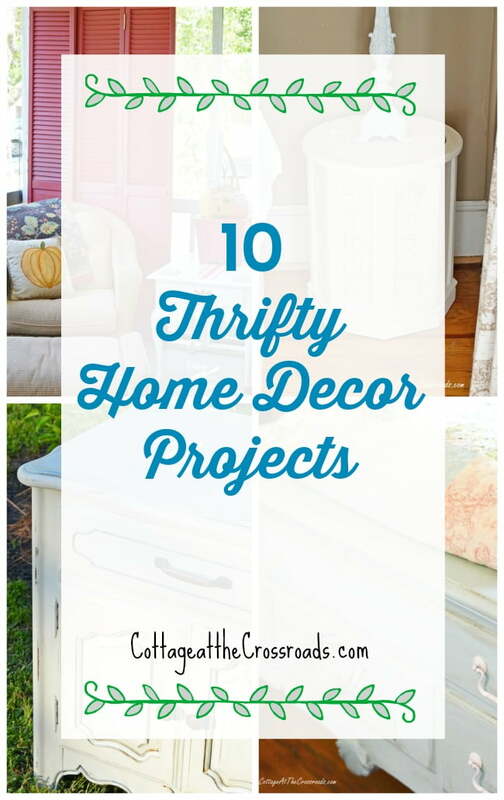 It was really hard for me to select the projects that I wanted to highlight today but I came up with 10 Thrifty Home Decor Projects that are not only our favorites but ones that continue to be used in our home. Many of our team members visit thrift stores to find items that they can refresh or repurpose. But a lot of our items were either given to us or purchased for a song at a local auction house. One of our very favorite projects would have to be the repurposed closet doors that we’ve used on our front porch for about 6 years. Some friends were updating their home and removed a lot of louvered closet doors. Before they were about to be hauled away, Leo’s brother Jim loaded them up and brought them to us. As soon as I saw them, I knew where they were going! At first, we used them in their stained state, but eventually I painted them red. You can read more about them in this post: Painting the Repurposed Closet Doors. 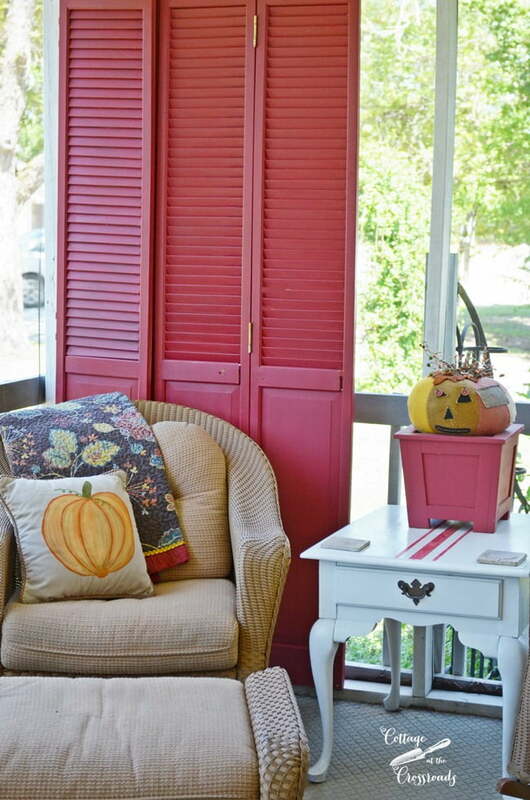 Closet doors can serve as privacy screens on porches or can be just plain decorative. We’ve gotten good use out of ours! 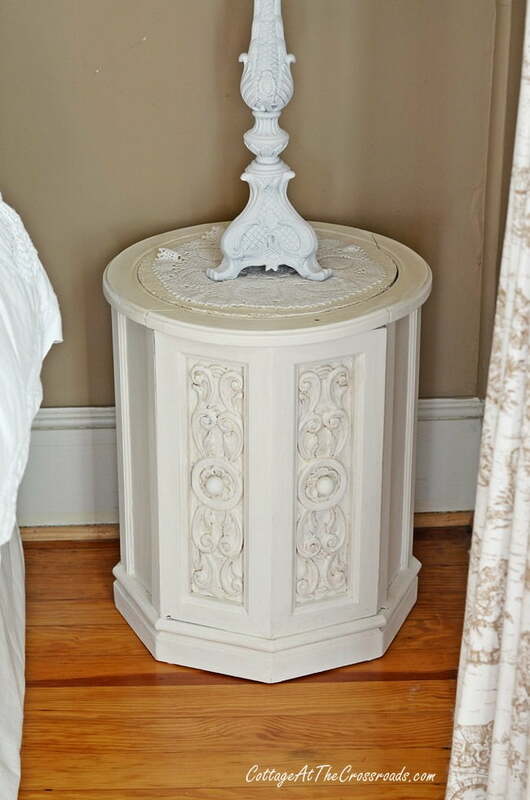 Another project that is still hanging out in our guest room is this chalk painted night stand. I really enjoy purchasing out of date furniture for almost nothing and giving it a new life with paint. I think I could furnish a whole house with upcycled furniture! Below are some additional furniture items that we purchased at the auction and painted. The one above is still being used in my sister-in-law’s guest bedroom. I don’t limit myself to just painting furniture. I will slap some paint on just about anything! I’ve painted several picnic baskets but this one has remained my personal favorite. I put it in a booth that I had and it sold immediately. 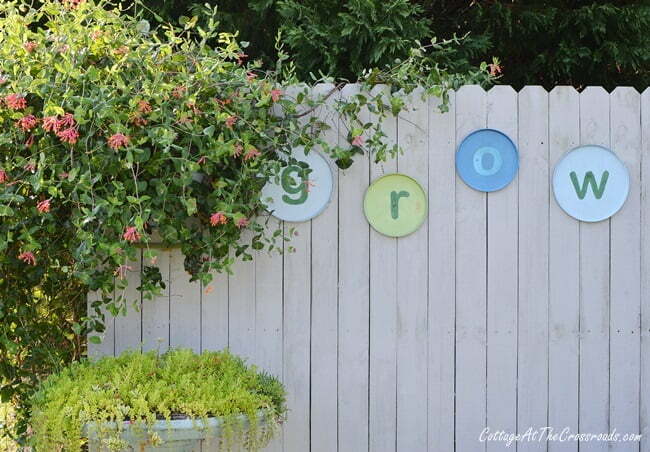 I love to find items in the dollar stores and repurpose them like the letters that say GROW in the photo above! They’ve been hanging in the garden for a few years now and haven’t faded in the least! Sometimes I enjoy taking something destined for the dump and seeing if I can repurpose it. This dolly was missing a wheel so I took them all off and turned it into a wreath! One of my friends has passed along a few things to me because she knows I’ll probably reuse them. Below are two of them. 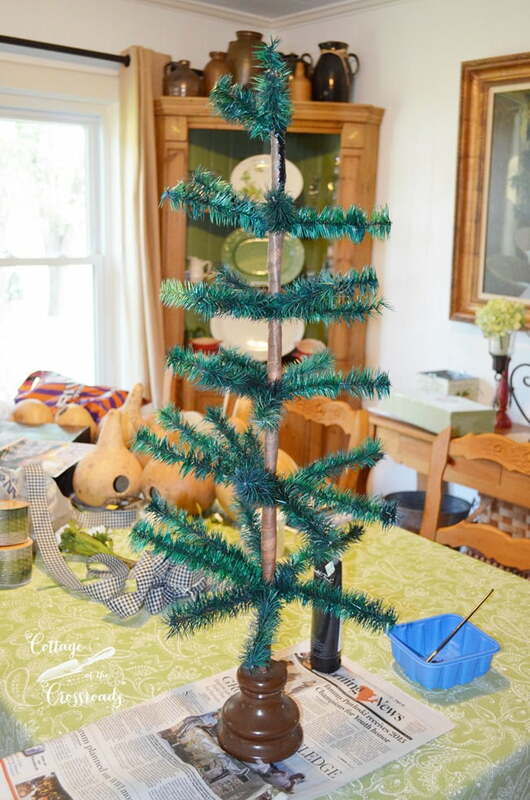 And this reproduction feather tree that she gave me has been decorated for almost all the holidays and was even painted white at one point! I don’t think I’ve ever decorated it for the Fourth of July, though, and this may be the year it gets a patriotic treatment! 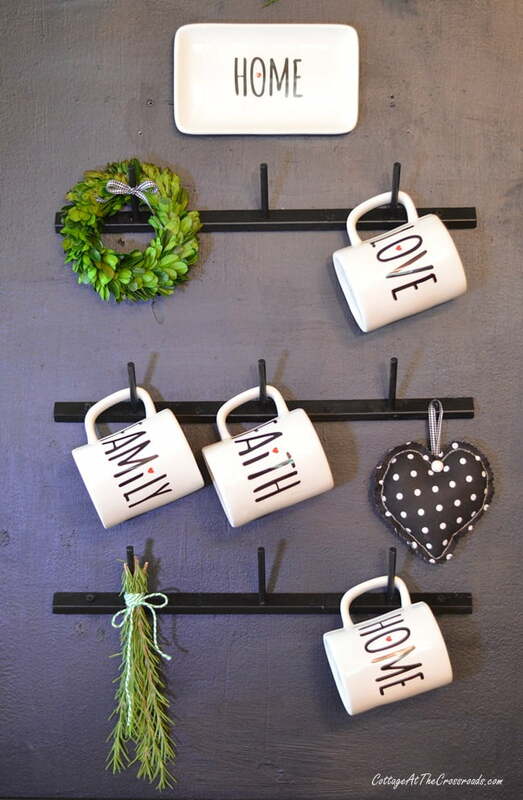 It’s been really fun looking back at some of our favorite thrifty home decor projects. Now it’s time to visit the other Thrifty Style Team to see what they have for us today! I always love your ideas and projects Jane. So creative! 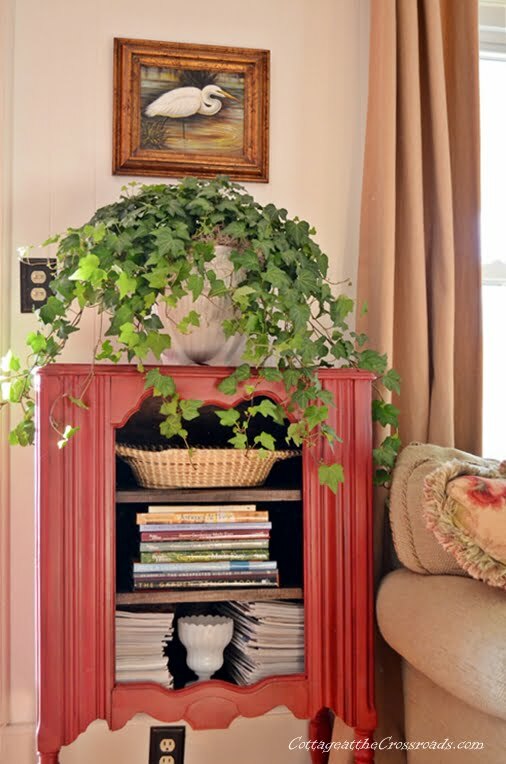 Your little red cabinet is awesome and the farmhouse mug tree…fabulous! Jane, such fun and creative ideas. i just loved and remember when you first posted the ‘grow’ in your garden. so glad they are holding up. You have the best ideas! I love your creativity and inspiration. Beautiful pieces. 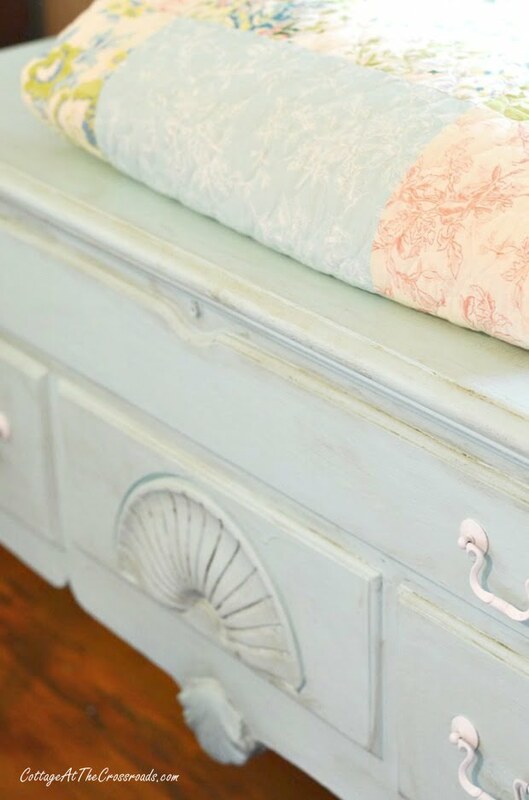 That French Country Nightstand is EVERYTHING!! What a great group of projects to inspire! I love all of these ideas and I also have an old hexagon table from the seventies which can probably benefit from a little paint. I love all your gorgeous projects! 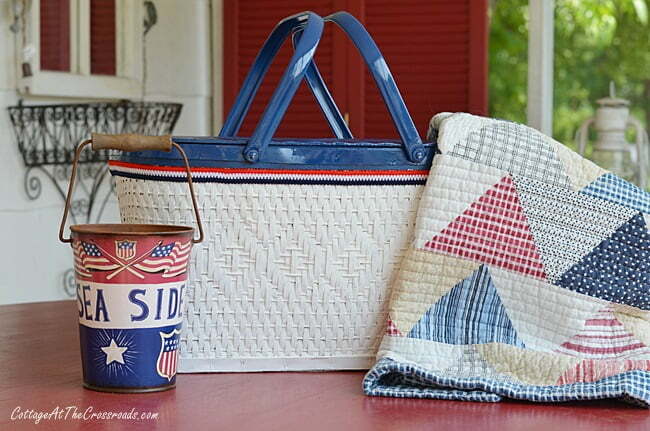 I especially love your patriotic picnic baskets – with 4th of July coming up it has me inspired! Jane you guys always have the BEST ideas and thrifty transformations!! 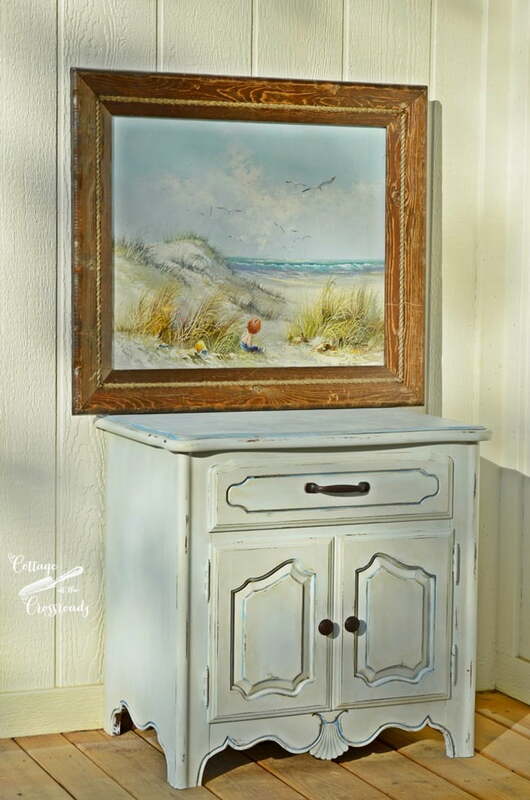 I adore the red magazine cabinet and now I want to paint an old china cabinet I have just the very same way…..actually it would be better if you were my neighbor and could do it for me – lol! I thought it was much larger until I saw the photo of you standing beside it!! 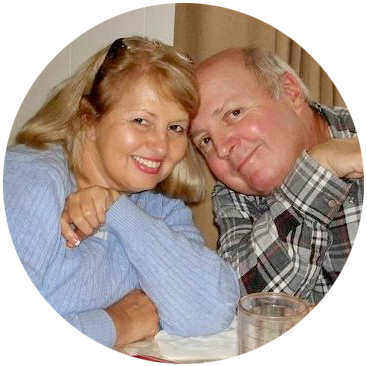 I love all of your projects – very clever gal! I would take that upright buffet, if that is what it is called, the redish one. Love it!